I saw these cute jelly fish on Tippytoe Crafts a few months ago and decided to make them in honor of my daughter's upcoming mermaid party. Kids do a simple coffee filter craft, and we get party decorations at the same time; seemed like a good plan to me. 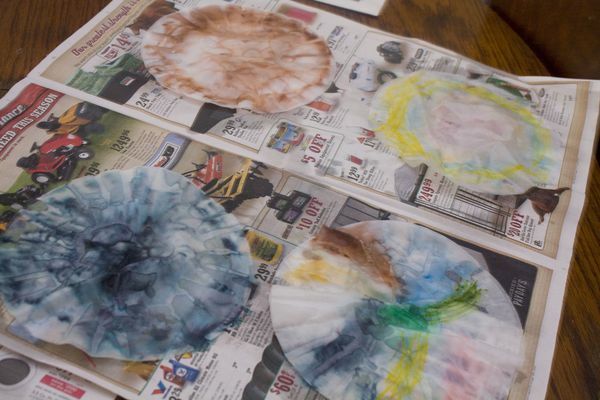 We started by coloring on coffee filters with markers. Nothing special, just markers. The girls kept getting frustrated and said they were bad jellyfish because they kept making bumps. 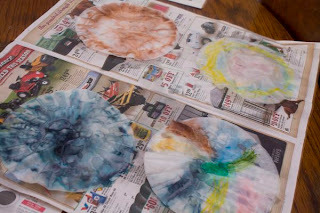 After coloring many, many coffee filters, bumps and all, we placed a blank coffee filter under each of the colored ones. Next came the magic. Not really magic, but it amazed my kids. Applying water to the coffee filters made all the bumps disappear. To apply the water, I found these cute little spray bottles thinking they would be easy for the girls, but they actually ended up being too hard to squirt. So I squirted them all while they giggled about the colors running together. 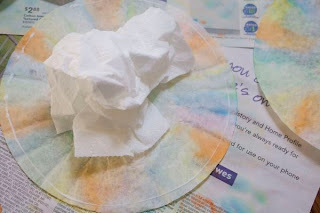 I made sure the filters got fairly wet so the colors would transfer to the coffee filter below. As a precaution, be sure you lay your colored coffee filters on newspaper or some other protective surface when you spray them. 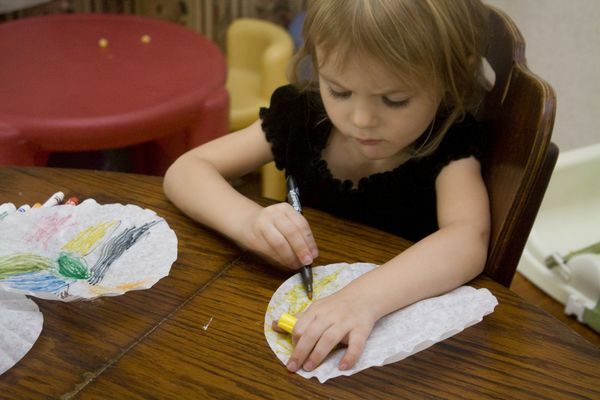 No one wants to clean up a bunch of marker smudges! 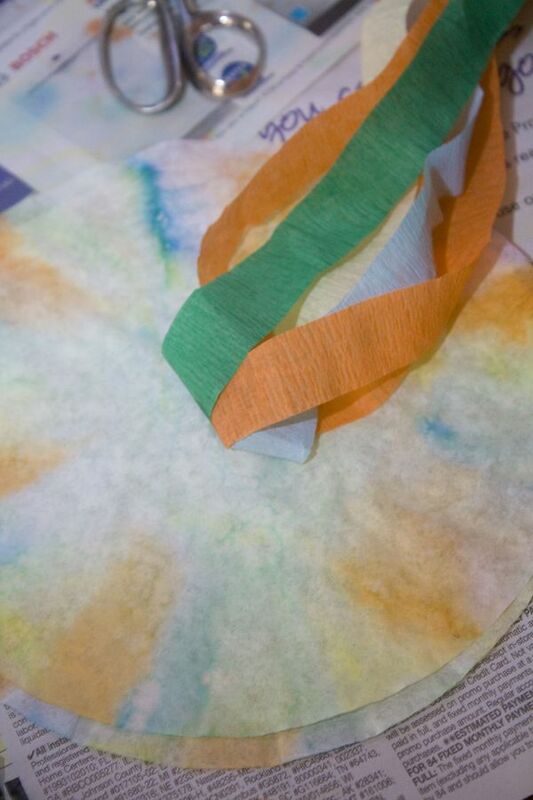 While waiting for the coffee filters to dry, we cut the streamers in half lengthwise. 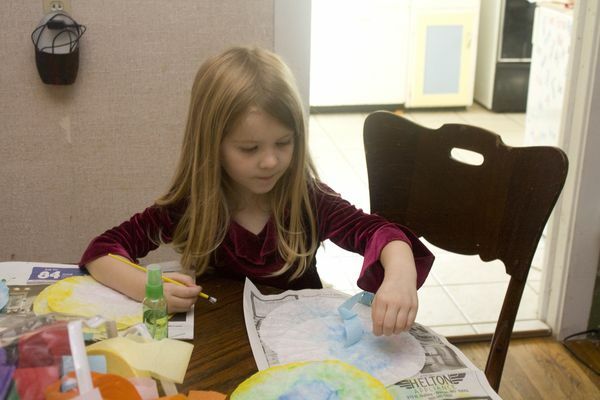 After the filters dried, the girls glued the streamers to one of the filters in each pair. I the glued the pairs together with a little bit of toilet paper in the center to give it some dimension. 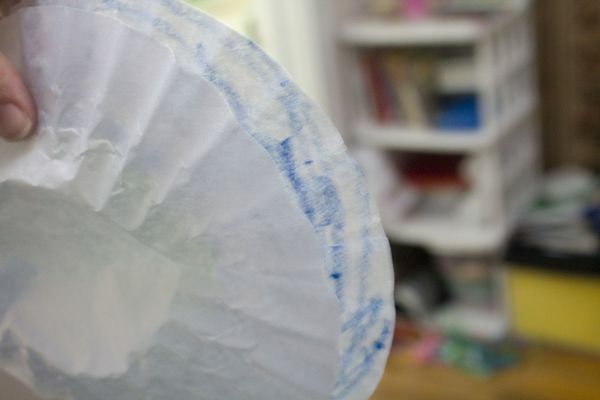 The extra bulk of the tissue inside makes it harder to line up the edges, but older kids could definitely handle this part on their own! 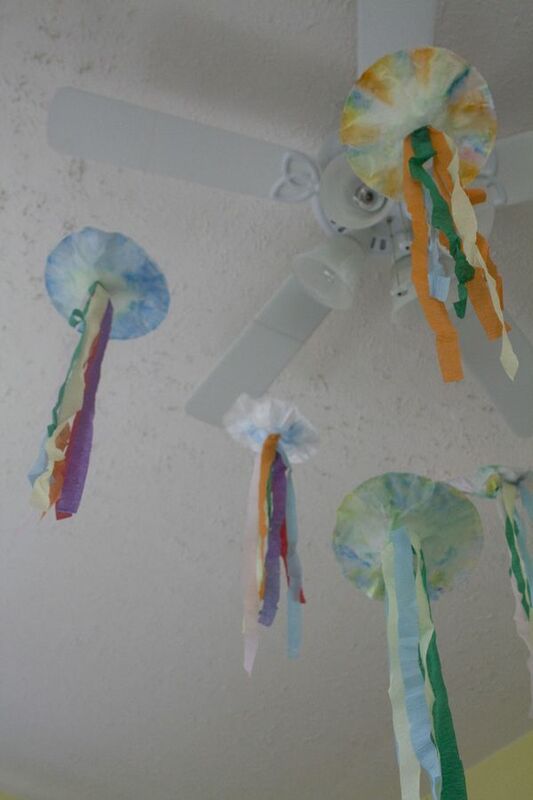 The whole time we were making these I figured I would hang them randomly from our ceiling. Never once did it occur to me that I am short and couldn't easily reach the 12 foot ceilings even with a ladder! 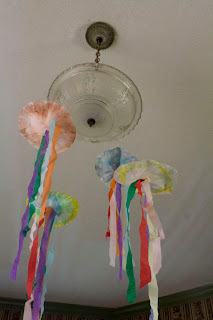 So they were hung with a little bit of thread from light fixtures instead. Honestly, I was doing good to reach the lights! 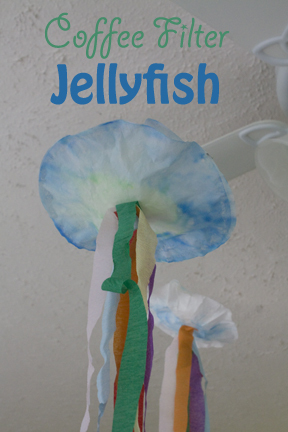 The way the marker colors blended together provided us with a beautiful jellyfish craft that went perfectly with our mermaid birthday party theme. 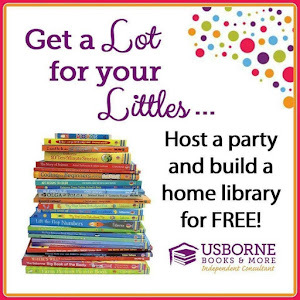 The kids also loved the fact that they helped with the party; while I loved the cheap, pre-made decorations!